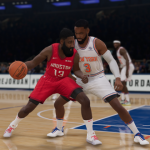 On the heels of the Patch 1.18 title update, a new content update has come through for NBA Live 19. As always, it will be downloaded automatically upon advancing past the title screen, assuming of course that your console has an active Internet connection. The content update features new rosters including lineup updates, the latest transactions, and updated ratings and gear. 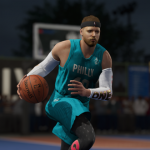 Playstyles have been updated for a few of the 1980s Legends in their LIVE Event, and a couple of bugs have been fixed, including portraits, positions, and gear, in both Court Battles and The Streets World Tour. You can find a full breakdown of the update here. 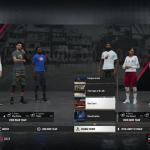 As always, feel free to share any thoughts in the comments below, as well as take the discussion to our NBA Live 19 Forum. 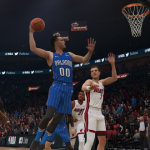 While you’re there, don’t forget to contribute to our NBA Live 20 Wishlist! We’re extending the cut-off until next week, so there’s still time to get your feedback in. 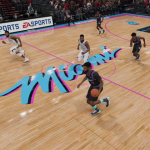 Specifically, the starting lineups for the Hawks, Hornets, Warriors, Clippers, Timberwolves, Thunder, Wizards, and Mavericks have been updated. Players with updated gear include Bradley Beal, Trae Young, Gordon Hayward, Blake Griffin, James Harden, Marc Gasol, Russell Westbrook, Aaron Gordon, DeMar DeRozan, Rudy Gobert, Donovan Mitchell, Jaren Jackson Jr, Eric Bledsoe, Donte DiVincenzo, and Thon Maker. The latest injuries have also been accounted for, and Patrick McCaw’s jersey number has been fixed. 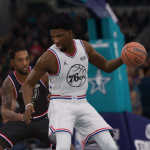 While the developers are obviously still taking suggestions and corrections for the rosters in NBA Live 19, don’t forget that we’re collecting feedback to send along for NBA Live 20. Check out our Work-in-Progress Wishlist here in the NLSC Forum! 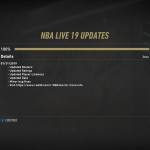 On the heels of Patch 1.16, another update has come through for NBA Live 19. As with all other title updates, Patch 1.17 should download automatically as long as your PlayStation 4 or Xbox One has an active Internet connection. If you encounter any difficulties, try restarting your console. No patch notes have been released as yet, and checking the update history through the PS4 dashboard only yields the generic message about “minor bug fixes”. For the moment, we can assume it’s likely that Patch 1.17 is a hotfix for issues caused by the previous update. There was apparently an issue with the announcer audio not being played during intros when the Earned jerseys were selected, which does appear to have been resolved. 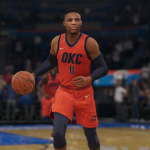 If any further information is provided, I’ll be sure to update this post, as well as the patch history for NBA Live 19 in our Wiki. For now, feel free to share any observations in the comments below, as well as in this topic in the Forum. For more information, check out this thread over on the official NBA Live Subreddit. 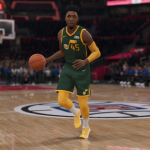 As always, feel free to leave any thoughts in the comments section below, as well as take the discussion to our NBA Live 19 Forum!